If you have been deer hunting for any length of time you soon come to recognize the value combination aerial and topographic maps, have to offer. 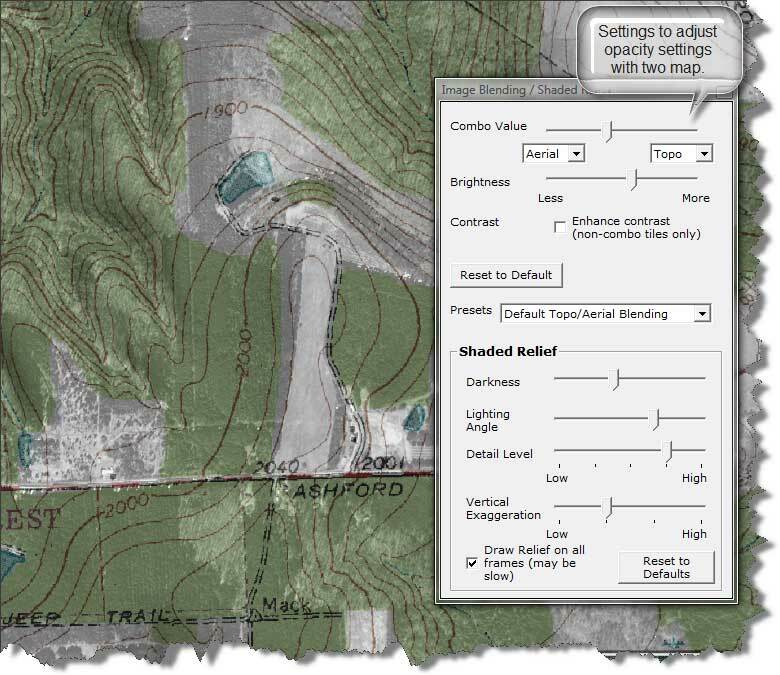 Not only has technology advanced with streamlining your hunting area to your computer but you can fully map trails, rubs, scrapes, mock scrapes, food plots, feeding areas and bedding coordinates directly into a map via GPS technology year after year. If you’re looking at a globe of the earth latitude lines, run horizontally east to west with the horizon. Some also remember it by using a mnemonic phrase ladder-tude. The longitude lines on the globe are split in the same direction like the rungs of a ladder so hence the helpful phrase ladder-tude. So, therefore, the longitude lines run directly north and south opposite of latitude lines. Finding the longitude and latitude coordinates can be done without having to be a professional cartographer. 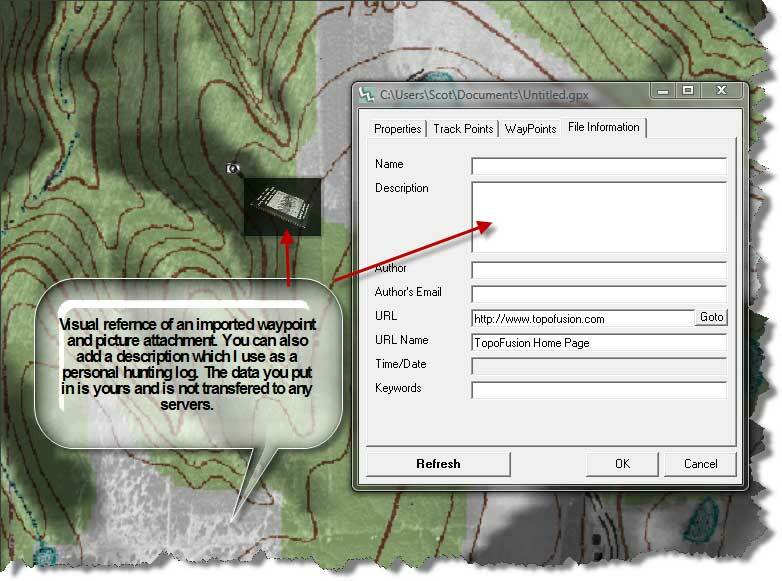 Just follow the link to the following website http://itouchmap.com/latlong.html Next type in your address of where you hunt and right click a flag on the map. This will output the longitude and latitude coordinates under the bottom left of the interactive map so they can be copied and pasted into the program of your choice. What made me a TopoFusion Pro fan? Features like being able to import maps, import routes/waypoints and import time-stamped pictures to match up with those routes/waypoints and built-in combination map feature. 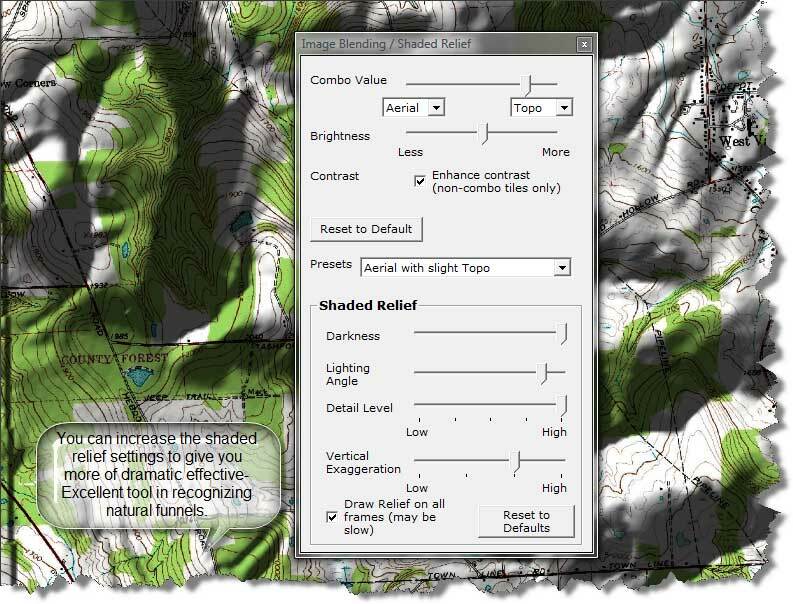 Some of these features are available on Google Earth, but I will be only covering how to download a topographic and aerial map, with a visual explanation on how to combine those maps in Photoshop. Here is the default view of TopoFusion Pro. In this next picture, you can see how easily it is to exaggerate the shader relief option to spot natural funnels. In this next picture, you can adjust the opacity right within the program itself for two separate maps. Number one it does not require any Photoshop editing and two it matches the routes up perfectly with no need for added adjustments. This next picture shows a description field where I found it very useful to record wind, weather condition and use it as a hunting log book. 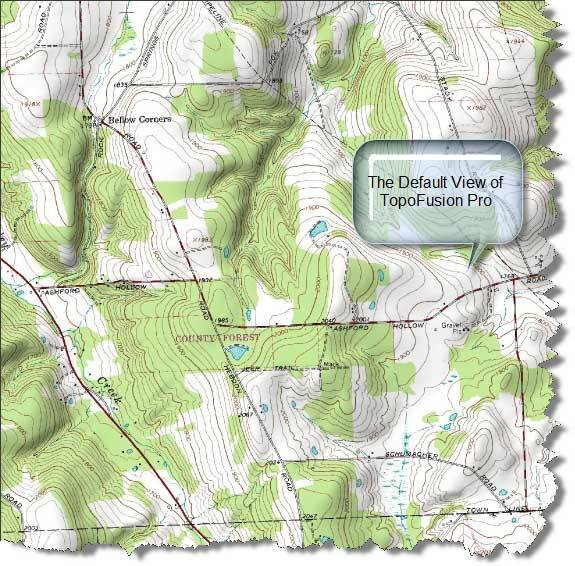 The following picture is the most valuable resource that TopoFusion Pro offers me as a hunter that loves hunting deer. Although the program was intended to map biking trails throughout the country, it is a very useful tool for hunting. 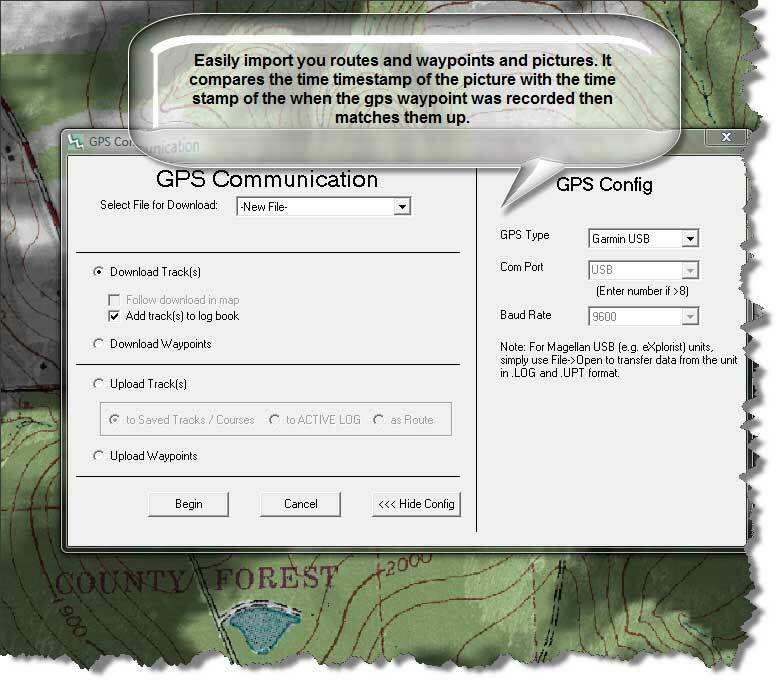 You can see you can easily import your GPS waypoints and routes directly into the program. Simply hook up your GPS handheld via USB port and the program will recognize it. You just use the import function, and you can import your time-stamped data directly into your map. Secondly is the ability to import pictures that you took in the field. Digital camera’s timestamp pictures within the properties. When I am scouting, I take my GPS handheld which is a Garmin Colorado 400t, and I take my digital camera along with me. Let’s say for an example I spot a buck rub I will set a waypoint with my GPS handheld then take a picture of the buck rub. When I get home, I import both the picture and waypoint into Topofusion. The waypoints will automatically line up with the image by comparing the timestamps. It then inserts the image and waypoint into your map. When I first found out about this technology I was very excited because it is a very powerful tool to have as a hunter. Finally, I wanted to cover how to overlay two separate maps within Photoshop. It is very simple I have a YouTube Video here on how to do it or you can continue to read on. You then put the cursor over the center of one picture hold down with the left mouse button and drag the image onto the other image. You can now close the picture you dragged from. Now on the right-hand side of the screen, you will see a tab called layers within that tab you will see the word opacity. Thant’s all for now folks.